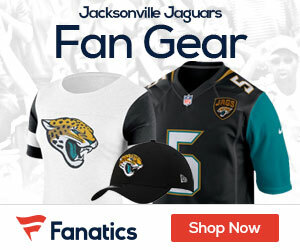 Jacksonville mayor John Peyton visited Jaguars practice on Friday morning and encouraged fans to buy 4,500 season tickets in the next dozen days to ensure a blackout-free season. “We’re so close now, it would be a shame not to get there,” Peyton said. “We’re on the final push.” If they can sell 4,500 more season tickets, the Jaguars think they can sell the rest of the tickets via group sales and single-game sales. “I couldn’t be more proud of our position,” Peyton said, noting that when he started the Team Teal drive last year there were estimates it would take at least two years to sell out the stadium. Peyton defended the city’s position to give the Jaguars $4 million in naming-rights money that the city had negotiated.